By Bus: Catch a bus from the Old Steine and alight at Patcham Place YHA. The bus stop is opposite the Black Lion Pub. The walking distant to the Chattri is approximately 2 miles from the gate. By Car:As you enter Brighton on th A23, take the A27 towards Lewes. At the second small roundabout (with a slip road to Lewes) take the north exit into Braypool Lane and immediately turnright. Park on the brow of the hill and walk to the Chattri by following the sign-posted footpath. 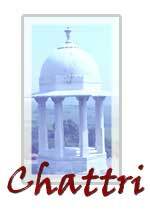 Please note:To reach the Chattri involves walking some distance over farmland. However, on the day of the service, vehicles are allowed to park near the memorial.